I think it is time to have a thread for everyone to discuss their cars, what they are doing to them and where we are going to have our first HC Road Trip Meet. Brent seems to think a trip to the Tail of the Dragon in NC/Tennessee would be in order. Maybe a road trip to a track for a track day? Of course a primary reason for this for me is to follow all of Nate's functional updates and Rex's rocket booster upgrades to see what works and doesn't. Not that I do not think your rockets will work Rex. Is my wind powered mobile welcome? If not, his would be a perfect excuse to borrow my parents ISF as it would be a blast to road trip with. The Blue Ride Parkway is a lot of fun. Road trip ideas should be percolating. Jersey and Connecticut have some great tracks, West Virginia, NC and Tennessee seem to have some great driver's roads. *only applies if Gingers are not included in the pictures of said cars. I had a throttle position switch sensor go out on me about two months ago, but I drive so little I didn't get around to replacing it until two weeks ago. All power is back, 6th now pulls harder than 5th did with the sensor out (one of three). With that said, I'm sort of tempted to sell it, as I have been as high as 6 weeks between drives. Probably should, but probably won't. No sale, until you've managed to terrify Brent in it, Colin. (Preferably captured on a GoPro). Would totally justify the opportunity cost of deferring the sale. Justify the opportunity cost, probably, but the cost of replacing the upholstery? Or, we could show Colin how to properly drive a car. I want to see pictures of cars and ideas for HC road trips. Go. Good to hear. I am looking forward to the rockets. How are the windy roads in Ohio? Seems to be in between DC and Chicago. I am also interested in road trips up to Nate's area as that seems to be the only way we get to see him. There are some of both, but Ohio isn't a great driving state. Except for Mid-Ohio, of course. Wrong. I drove the Triple Nickel and it was white knuckle, adrenaline pumping, sometimes almost crapping your pants fun. Like 60 MPH blind brows where you almost get air and then finding out you have a 90 degree 20 MPH corner at the bottom. I know this link is for motorcycles but just as fun in a decent car. And then I can show you about 60 miles of really fun stuff along the Ohio river in south western Indiana. You may not think these are places for sports car roads, but you are wrong. I took my WRX down Highway 1 from San Francisco to Los Angeles about a month back. It is one of the great roads in the US, being both scenic and challenging. It would be a tremendous road for a potential west coast HC road trip. Only key would be to do it either very early or very late to avoid all of the Winnebagos slowing down the traffic. Trying to pass 2-3 cars and a Winnebago in a single shot can be pretty darn scary even on a straightaway with good visibility. I hear that after getting down past Morro Bay you can buzz over to the Maricopa Highway (33) to Ojai to have even more fun. Would love to do that, but I would probably be doing it in a rental as I am not patient enough to drive across the country. How is your WRX treating you? I really liked the ones I drove and came very close to ordering a 2016 with eye sight and the new navigation system. Get one, West Coast delivery. Then fly back and have it shipped. I've made a lot of stupid purchases in my life, but the WRX isn't one of them. I love it. I just passed 6k miles in it a week ago. I have the CVT and I don't have any regrets about that. Driving with the paddle shifters on a technical road is loads of fun. Killing the traction control is also a blast, the WRX has tons of grip. For me it fit at just the right point on the fun car vs. daily driver spectrum while still being within my roughly 30k budget. I have had no regrets about it at all. It also doesn't stand out that much in a crowd, which for me is a positive. The STI would certainly be more fun than the WRX but at the expense of being a worse as a daily. The GTI to me was the opposite of the STI, slightly less fun than the WRX if a little more refined as a daily. If you have any more WRX questions, be sure and let me know. If you guys find something a bit further north, I might be able to make my way down. 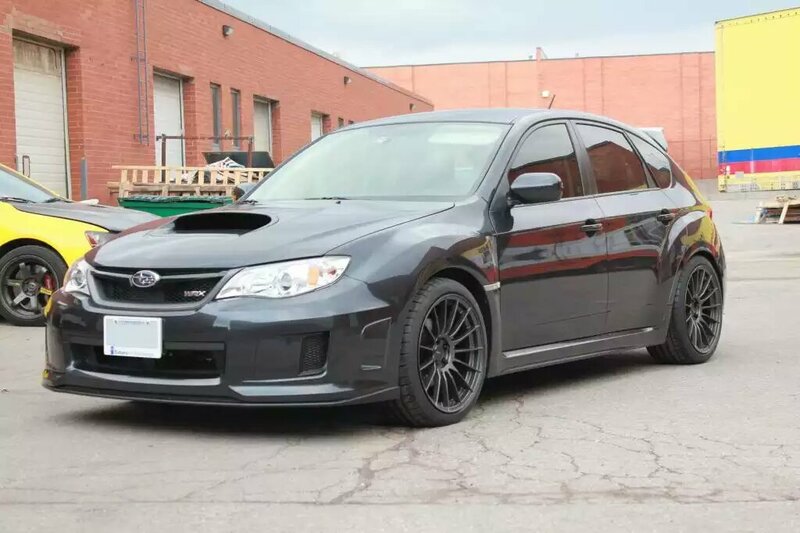 That is the WRX that I really want but I guess the hatchback is gone now. 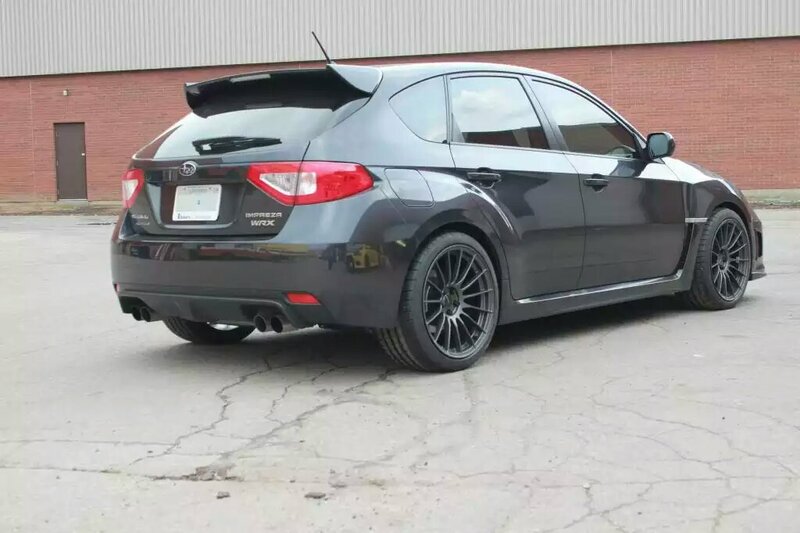 You can order the sti without the stupid wing now though. I have driven a lot of cars over 100 MPH without an 18 inch scaffolding on the trunk lid without any problems. Come on Jeff, you know you want it. You want the wing, if you are planning on driving more than 100 MPH. The carbon fiber winglet I put on my GTI is functional, and with the STI it's really needed. Unless you go to the track a lot I can't see there being much need for the wing. You just aren't going to be going that fast on public roads, and, even when you are you are going to be going in more or less a straight line. The brilliance of the WRXs isn't on highways, its on technical roads.